Santa Cruz County is the smallest county in the state of California, geographically speaking. San Francisco, which is smaller in geographic area, is not actually a "county," but is a "city and county," a special governmental category unique to San Francisco. There is something unique about Santa Cruz County, too: Measure J, Santa Cruz County's comprehensive growth management system, adopted by the voters in June 1978. 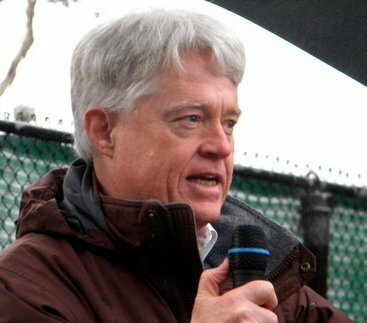 The "Story of Measure J" is worth reading, if you are not familiar with how Santa Cruz County ended up with its unique, and quite effective, "smart growth" system, even before the "smart growth" movement began. For my purposes in discussing the "two world hypothesis," what is important about Measure J is that it represents an example of how a governmental decision can actually "legislate" a new reality. 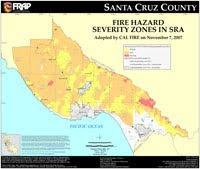 Prior to the adoption of Measure J, Santa Cruz County was the fastest growing county in the state of California, and was expected to have a population of 500,000 by the year 2000. Because of Measure J, Santa Cruz County is now one of the slower growing counties in the state (and the future growth of the community is under the explicit "political" control of the Board of Supervisors). Contrary to the growth predictions based on extrapolation from the trends at work in 1978, the population of Santa Cruz County in the year 2000 was just over 250,000. So, Measure J cut growth in half. Measure J also protected almost all of the prime agricultural land that is such an important part of the local economy, directed growth "inside" an urban services area, which led to an economic reinvigoration of the urbanized portions of the County, and provided a significant amount of price-restricted housing, permanently available to families and individuals who have average or below average incomes. Thinking about the future of California, I think that Santa Cruz County provides a kind of "proof of concept" for the kind of growth policies that should govern our state in the future. To a large part, that would depend on us!